The Egyptian Embassy in Cairo has announced that the Rafah crossing between the besieged Gaza Strip and the North African nation will be opened in both directions for three days from tomorrow. Rafah will not be opened for travel and the return of citizens until Saturday, officials said. The Ambassador of the State of Palestine in Cairo and its Permanent Representative to the Arab League, Diab Al-Louh, thanked Egyptian President Abdel Fattah Al-Sisi for his constant efforts to alleviate the suffering of the Palestinian people. Israel has imposed an 11-year siege on the Gaza Strip which Egypt has supported by closing its border with the enclave. People, goods and even basic amenities such as food and gas are restricted leaving Palestinians in Gaza suffering with only a couple of hours of electricity a day and with no access to the outdoor world. The Norwegian Refugee Council (NRC) has expressed its outrage at the killing of Palestinian civilians in Gaza by the Israeli army as they protest for their rights on their land. “The deadly force used by the Israeli military against the people of Gaza is a gross violation of their protection under humanitarian and human rights law, and those responsible must be held accountable for their actions,” a statement released on Monday by the council said. 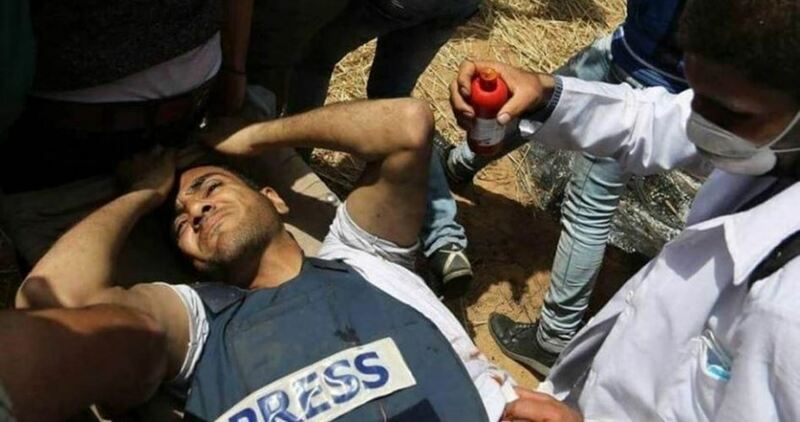 Among the people killed in the demonstrations was 30-year-old Yasser Murtaja, a journalist who was filming on site last Friday. Murtaja had agreed to document for NRC the bitter prolonged struggle faced by Palestinian refugees in Gaza. The work was planned to start the day after he was killed, according to the statement. “I talked to Yasser on Wednesday evening by phone, after he came back from the access restricted zone in Gaza where Palestinians were demonstrating,” said NRC media adviser in the Middle East, Karl Schembri. “The stories that NRC and Murtaja were supposed to work on focus on the impact of the persistent violence experienced by children in Gaza on their mental health and wellbeing. In Gaza, around 300,000 children are already assessed to be in need of critical psychosocial intervention due to the distress caused by more than a decade of blockade and conflict,” NRC stated further. Palestinians in Gaza have embarked on a six-week peaceful protest, called “the Great March of Return,” which will culminate on “Nakba” Day (catastrophe in Arabic) on 15 May. This day commemorates the events of 1948 when, following the creation of the state of Israel, more than 750,000 Palestinians were expelled or fled from their homes, to which they have since been unable to return. Among those killed was 26-year-old farmer Omar Abu Samour. Omar’s wife says their two-year-old daughter keeps asking about where he is as she cannot understand that he is gone. Omar’s mother insists that he was not taking part in the demonstration, but was simply farming his land in the morning, around 700 meters from the border fence. 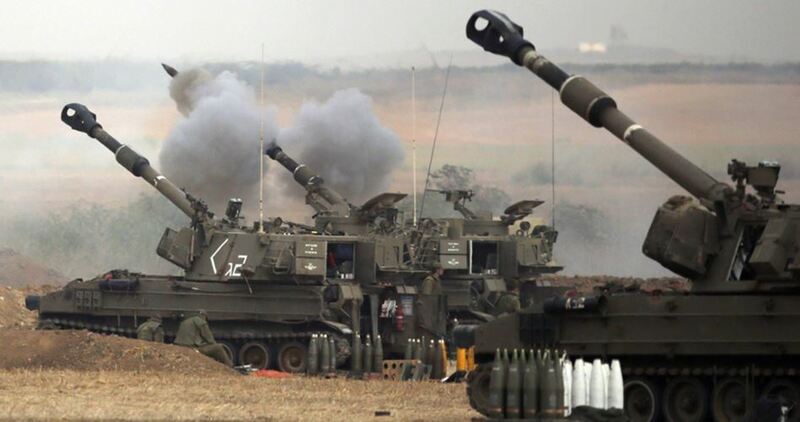 Israeli artilleries on Wednesday morning targeted Palestinian resistance sites to the east of al-Zaytoun neighborhood, in Gaza City, with 15 shells. The Israeli occupation claimed the offensive comes in response to an explosive device fired at Israeli military bulldozers that launched a limited incursion into Gaza’s borderland. The occupation army held Hamas responsible for the alleged explosion. 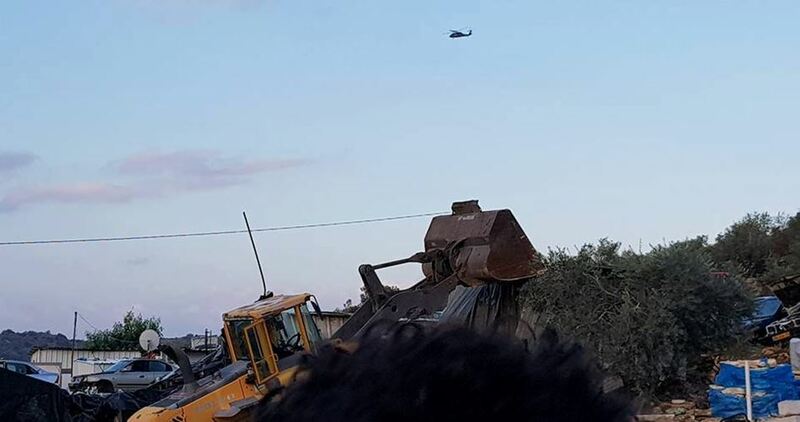 A PIC news correspondent said that Israeli bulldozers moved into the Gaza Strip at the early morning hours in an attempt to level more Palestinian land. Such infiltrations are considered by the Palestinian people and resistance flagrant violations of the ceasefire accord struck in the wake of the 2014 Israeli offensive on the blockaded coastal enclave. A number of Palestinians were kidnapped by the Israeli occupation forces (IOF) at predawn time Wednesday in abduction sweeps rocking the West Bank and Jerusalem. The IOF stormed Tel town, in the northern West Bank province of Nablus, at dawn and wreaked havoc on civilian homes, before they kidnapped two young men aged 23-years-old. 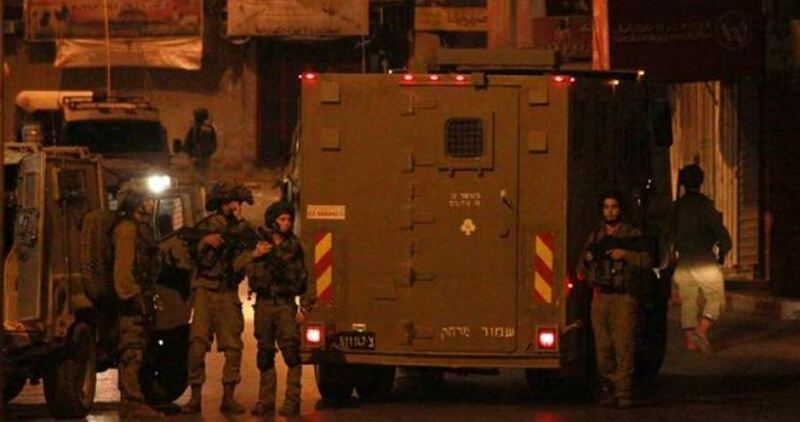 At the same time, dozens of Israeli soldiers raked through Qalqilya’s eastern town of Azzoun, in the northern occupied West Bank, and kidnapped two Palestinian youths. The IOF reportedly ransacked civilian homes and sealed off the main entrance to Azzoun town. Overnight, heavily-armed Israeli patrols cordoned off the vicinities of Azzoun Atama and Beit Ameen towns allegedly after gunmen opened fire toward the main entrance to an Israeli settlement illegally built on Palestinian lands in the area. Meanwhile, occupation patrols rolled into Bani Na’im town, east of al-Khalil, and kidnapped the Palestinian citizen Alyan Khalil and his wife, Umm Muhammad. Palestinian ex-prisoner Ahmed Ibryoush was kidnapped by the IOF from Dura town, to the south of al-Khalil. Israeli soldiers also rummaged into civilian homes in Bethlehem before they summoned the young man Hadi al-Wahsh to questioning. 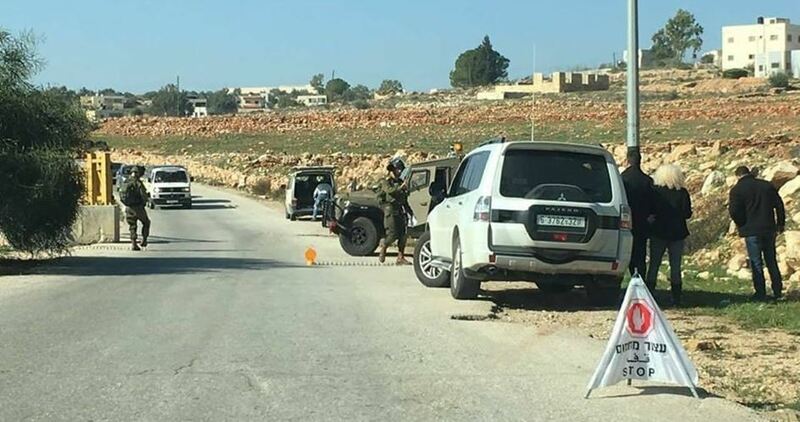 In the meantime, clashes flared up in Beit Rima, west of Ramallah province, after heavily-armed occupation patrols stormed the area and cracked down on Palestinian anti-occupation youth. The sweep culminated in the abduction of youngster Shadi Muheissen from Jerusalem’s eastern town of al-Issawiya. The Israeli Occupation Forces (IOF) stormed on Wednesday afternoon Kafer Aboush town in southern Tulkarem to the north of West Bank. The PIC reporter was informed by locals that IOF soldiers broke into and violently searched a house belonging to Udey Rebhi. A number of local residents were also investigated, while checkpoints were erected during the raid. 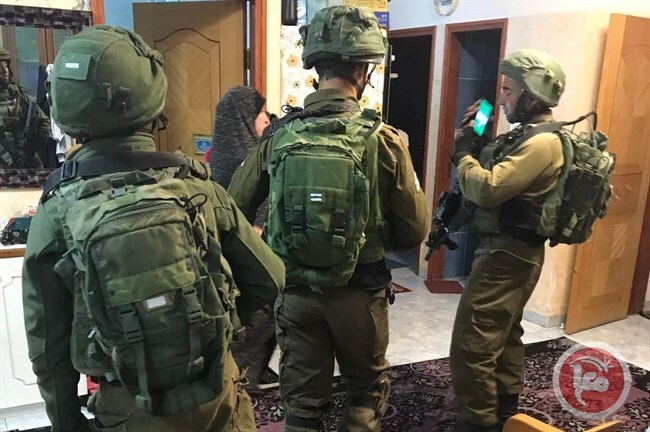 BETHLEHEM (Ma’an) — Israeli forces detained at least 16 Palestinians during predawn raids on Wednesday across the occupied West Bank.An Israeli army spokesperson told Ma’an that 16 Palestinians were detained from the West Bank, without providing specific locations on the detentions. Meanwhile, locals identified 11 of the 16 detainees to Ma’an. In the northern West Bank district of Nablus, Israeli forces detained two Palestinians from the village of Tell. They were identified as Luay Hassan Hamad and Maaruf Bassel Hindi. Two Palestinians were detained in the Qalqiliya-area village of Azzun, also in the northern West Bank. They were identified by locals as Yassin Rajeh Shbeita and Bassam Nabil Hussein. In the central West Bank district of Salfit, Israeli forces detained on Palestinian from the village o Deir Istiya. He was identified as Sameh Saed Mashni. Six Palestinians were detained fro mthe southern West Bank district of Hebron. They were identified by locals as Hajj Elayyan Muhammad Khalil and his wife Umm Muhammad from the town of Bani Naim, former prisoner Ahmad Abd al-Majid Briush from Dura, Ahmad Raed Abu Ajamiyeh from the al-Fawwar refugee camp, and Muayyad Ibrahim Abu Hammad and Saeb Ibrahim abu Hammad from Hebron city. In occupied East Jerusalem, locals told Ma’an that one Palestinian was detained from the neighborhood of Issawiya. He was identified as Shadi Mheisen. According to UN documentation, Israeli forces carried out 176 search and arrest raids in the occupied Palestinian territory from March 13 – 26. A decision rendered by the Federal Court of Canada twelve years ago now bears heavily on the current debate over whether Canada should recognize Jerusalem as the Capital of Israel. The Trudeau government has declined to do so, but that position has been criticized by various conservative political columnists including John Robson writing in the National Post. Andrew Scheer, leader of the opposition, says he would move our embassy to Jerusalem if elected. Scheer’s position flies in the face of international law, according to which the status of Jerusalem remains to be worked out as part of a final agreement between Israel and the Palestinians. This position was reaffirmed by the UN General Assembly in a lopsided vote on December 21, which again urged all member states to refrain from taking any steps until the final agreement has been settled. Though the USA was not mentioned by name in the resolution, it was clear to all that the motion was a rebuff to Donald Trump. Curiously, Canada abstained on that UN vote. Curious because in fact, Canada’s position on this issue has already been brought before Canada’s courts, and Canada’s position is clear. According to current Canadian law, Canada does not recognize any part of Jerusalem as part of Israel. Interestingly, the issue came up as a simple complaint over a passport. In 2004, Passport Canada refused a request from Eliyahu Veffer, an 18 year old Canadian man to have “Jerusalem, Israel” shown as his birthplace on his Canadian passport. “Jerusalem” alone was OK, but “Jerusalem, Israel’ was not OK, said Passport Canada. “The Government of Canada has established that designation for individuals born in Jerusalem be indicated as Jerusalem alone and in full in the Canadian passport. There is one exception for individuals born before May 14, 1948. Upon request, Palestine may be written instead of Jerusalem”. The Passport Office’s refusal was appealed to the Federal Court of Canada by Mr. Veffer, with the legal help of David Matas. the senior legal officer for Bnai Brith Canada . Two years later, the Federal Court upheld the original decision by Passport Canada. It ruled the government is justified in its policy of declining to put “Jerusalem, Israel” on passports “because the city’s status is unresolved”. Although Israel calls Jerusalem its eternal capital, almost all foreign embassies have remained firmly planted in Tel Aviv. The reason for the Passport Office’s refusal was succinctly stated in an affidavit by Michael Bell, Canada’s former ambassador to Israel who was called as an expert witness. The court accepted his submission as valid and included it in the court’s judgement. “With regard to the status of the City of Jerusalem, Canada opposes Israel’s occupation of East Jerusalem and at this time does not recognize Israeli sovereignty over any part of the City of Jerusalem, as defined in the Partition Plan of 1947, on either side of the Green Line, east or west. The inscription of “Jerusalem, Israel” as place of birth in Canadian passports would be perceived as a recognition of sovereignty in contradiction of that policy, which would undermine Canada’s credibility and would therefore diminish our capacity to make any contribution toward peace,” submitted Bell. In making its decision, the Federal Court reviewed the history of the creation of the State of Israel and its relationship to Jerusalem, noting that UN resolution 181 which created a “Jewish State” and an “Arab State”, specifically excluded Jerusalem which was to be kept separate under international supervision. It also noted that when Israel applied for membership in the United Nations in 1949, its representative Abba Eban was asked whether Israel was claiming sovereignty over Jerusalem. On May 1, 2006, Judge Conrad Von Finckenstein, ruling for The Federal Court of Canada, upheld the decision of Passport Canada. The full record of the FCC decision, including a review of the legal history of Jerusalem, makes interesting reading and is available at the FCC site HERE. The FCC decision was subsequently confirmed on appeal by the Federal Court of Appeal. The applicants further tried to take the issue to the Supreme Court of Canada which declined to hear the appeal. This essentially means the weight of the FCC decision has the authority of the Supreme Court of Canada. Israeli soldiers abducted, on Wednesday at dawn, a Palestinian man and his wife, in addition to a young man, in the southern West Bank governorate of Hebron. Media sources in Hebron said the soldiers invaded Bani Neim town, east of the city, searched homes and abducted an elderly man, identified as Oleyyan Mohammad Khalil, and his wife. They added that the soldiers also invaded and searched homes in Doura town, southwest of Hebron, and abducted a former political prisoner, identified as Ahmad Abdul-Majid Ibreiwish. In related news, the soldiers invaded several alleys in the al-‘Arroub refugee camp, north of Hebron. In Bethlehem, the soldiers searched several homes, and summoned Hadi al-Wahsh, for interrogation in Etzion military base and security center, south of the city. Several army jeeps also invaded Beit Rima town, west of the central West Bank city of Ramallah, before local youngsters hurled stones and Molotov cocktails at them, while the soldiers fired live rounds, rubber-coated steel bullets and gas bombs. 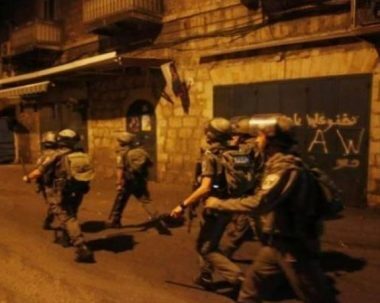 Also at dawn, the soldiers abducted four Palestinians from their homes in Qalqilia and Nablus, in northern West Bank. 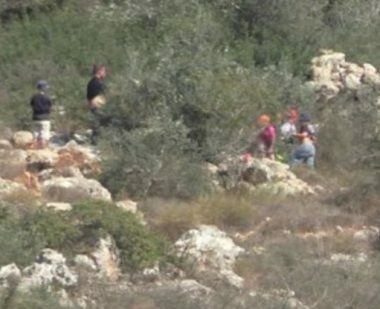 Israeli forces and settlers, Tuesday, forced Palestinian farmers to leave their land in the town of al-Khader, south of Bethlehem, according to a local activist. Hassan Brejieh, member of the anti-wall and anti-settlement committee in Bethlehem, told WAFA that Israeli forces and settlers broke into the land of Ibrahim Sbeih and forced him and his brothers, who were working on their land located near the illegal settlement of Sidi Boez, to leave it, at gunpoint. He noted that the land in question is a privately-owned 18- dunam plot planted with vine and olive trees. This area is subject to regular and repeated attacks by settlers in an attempt to seize it for the benefit of settlement expansion, he added.